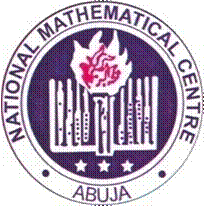 National Mathematical Center, [NMC] Nigerian Mathematics & Sciences Kaduna State Mathematics and Sciences Olympiad First [1st] Round [I] Junior & Senior Results for 2018/2019 Session - Download Kaduna State Olympiad Results in PDF. The National Mathematical Center has published the full results of the Kaduna State Nigerian Mathematics & Sciences Olympiad 1st Round Results for the 2018/2019 academic session. The results are for Kaduna State candidates who participated in the Junior Mathematics competition. Using the Search box provided on the website search the displayed result by the candidate's name, school or any of the field. Any Student/Ward that did not see his/her result means that the OMR examination sheet was not properly completed with the relevant information. To get the result, kindly send your Full name, State, School and Subject to the email address: olorunmayebenjamin2013@gmail.com and cc: ojosog1@yahoo.com; before the 31st of December 2018. Students who qualified in the First Round Examination are hereby invited to the NMC 2nd Round Examination scheduled to take place in January, 2019.